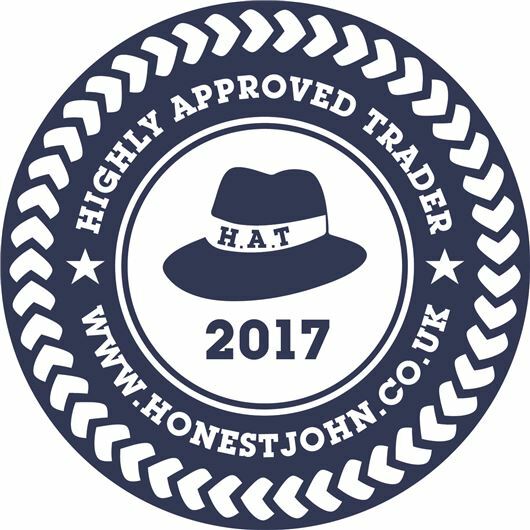 It's that time of year again, Honestjohn.co.uk has selected its HAT Awardees for 2017. The HAT Awards are awarded at Honest John’s own discretion and are to honour businesses that go the extra mile for customers. The sixteen awardees all provide excellent services to motorists, and demonstrate best practice within the UK motor trade. "HAT awardees represent reliable, high quality service and excellent value for money." Editorial Director Daniel Harrison explains. "All these are qualities which HonestJohn.co.uk strives for across the motoring industry. These businesses truly deserve this recognition." Event Tyres - a mobile tyre-fitting service operating across the UK. TyreMen - a mail order and tyre-fitting service operating for nearly 50 years. BCA - an online and physical auction-house operating for over 60 years. Historics at Brooklands - a specialist auction house for the sale and purchase of historic, classic and sports cars, and motoring memorabilia. Silverstone Auctions - a specialist auction house for the sale of classic cars, modern supercars, competition cars, modern and historic motorcycles and automotive memorabilia. Carwow - an innovative service for customers to compare offers from main dealers and buy direct. Drive the Deal - a discount new car broker service that shows customers the best new car deals. DSG Auto Contracts - an independent new car and van contract hire, leasing and finance broker. Ling's Cars - a car leasing website, offering new car leasing and contract hire. Cargiant - a car supermarket with up to 8,000 cars in stock. Motorpoint - a car supermarket offering a large selection of nearly new, used and low mileage cars. ALA GAP Insurance - a GAP insurance specialist operating since 1990. Confused.com - a car insurance comparison website. Liverpool Victoria - motor insurance for cars, caravans, motorcycles and classic cars. Michelin CrossClimate - multi-award winning CrossClimate tyres – the world’s first summer tyre with winter capabilities. Shell V-Power Nitro+ - a premium unleaded fuel, designed to act instantly and improve engine performance. A very useful list, which I shall print off and retain for reference during the year. I use only 2 of the winners at present, and plan to increase this during 2017. I would like to see more products winning awards in 2018. Agree that this is a useful list. Would be reassuring to see confirmation that there is no financial or other advantage to HJ.co.uk in recommending the businesses concerned.